The company was started by Chicago entrepreneur, Judge H. Parker who came to Chicago from Montgomery County, Tennessee with little more than the conviction that there was a potential market for homemade sausage products prepared according to his mother’s recipes. By 1919 Judge Parker began selling his unique blend of herbs and spices mixed with flavorful, savory sausage from a horse drawn cart on a retail basis. Judge Parker acquired a small plant facility and several refrigerated trucks which served to enhance recognition of the Parker House brand – from there, demand for his sausage products continued to grow. Parker House established its headquarters at 4605 S. State in Chicago. The company currently serves its clientele with the same high quality products they have provided for nearly a century. Parker House was incorporated. This occasion served to place Judge Parker in the history books as the first person of color to own and operate a meat processing plant in the Midwest. 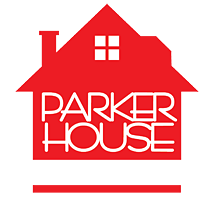 Parker House expanded their brand to serve five states. In 1962 the company launched a direct-ship mail service which augmented company distribution beyond the five states Parker House served. This represented an innovative strategy for a wholesaler in the business-to-business market. Recognized by Time Magazine (Sept 1971) as one of the oldest family owned businesses in the U.S. In 2014 the company announced its intention to expand its product line to include chicken products including breakfast sausage, hot links, and smoked sausage. Celebrating 100 years as a family owned and operated business!